a lily is the solo project of brighton’s james vella (yndi halda, saint coltrane, fatcat records). lupa is an ep of self-produced tracks that trails forthcoming full-length roma. both ep and album reference the ancient roman tale of romulus and remus – two brothers raised from childhood by a feral wolf, eventually fighting to the death over the formation of the city of rome. the romulus and remus story is magical, surreal, occasionally warm and occasionally vicious. 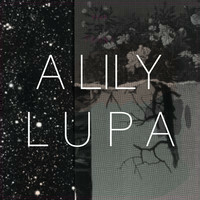 lyrically and musically, lupa follows a similar line. it marries dark imagery with harmonious pop forms, softly-whispered vocal deliveries with dense textual arrangements delivered by a broad palette of instrumentation. there are choral vocals, waves of distortion, string quartet arrangements and roughly-hewn bedroom folk across its four tracks. also included as influences for the making of roma and lupa are astronomer carl sagan, twin peaks characters, k records founder calvin johnson and actress penelope cruz. the list is more revealing than one might expect: both records can be seen as studies of wonder, mystery and beauty, all tied within a poetic and descriptive narrative. recorded entirely at home over several months, almost every instrument was performed by vella with some additional help from some guest musicians, including mice parade’s adam pierce and emiliana torrini. as a live act, the a lily band has expanded and contracted to comprise – at various times - a brass ensemble, classical percussion, electronics and keyboards, and multi-part vocal harmonies, but has now settled on a four-piece based around guitar, keyboard, cello, drumkit and voice. previous live ventures have seen shows with amiina, peter broderick, silver apples, yndi halda, silje nes and memoryhouse. a lily’s previous recorded outings span the organic / electronic laptop, home recording and drone debut album wake:sleep (dynamophone records, 2006), an ep of longing americana named i dress my ankles with god’s sweetest words (dynamophone, 2008) and japan-only pure pop record thunder ate the iron tree (p*dis, 2011). vella also co-founded yndi halda and saint coltrane, and will shortly publish a short story collection entitled devourings (wounded wold press, 2013), a similar expression of the dream-like and surreal to roma and lupa.